I recently went to Matchbox in Washington, DC to celebrate a successful theatre performance by my daughter. The experience was less then pleasant. The story is almost incredulous. This is a tale of a waitress using very poor judgement to damage a long term relationship. I have been transformed from a FAN of MATCHBOX to a unhappy customer. 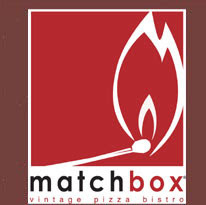 I have been a fan of Matchbox since you opened your DC location in 2002. I dine at your Chinatown location frequently and recently have added the new Capitol Hill site to my dining list. My daughter was participating in the DC Fringe festival this past Saturday. After the play, we walked from the theatre to your Chinatown Location to celebrate a successful show. I brought seven people with me and planned on enjoying an early dinner in your upstairs dining room. We were seated promptly and greeted by our waitress without delay. We were all in good spirits – hungry and looking forward to sharing a meal and celebrating a fabulous afternoon. When I ordered a draft beer, our waitress requested my ID. How sweet I thought. I am rarely carded (I am 49), and was happy to pass my license over for review. After perusing my Maryland license, the waitress asked if there is anything other then beer I would like, as my license was expired and thereby invalid as identification. I looked at my license, and she was correct – my license had expired in May. I was unaware and quite surprised it had expired. As a reasonably responsible, middle age man with kids, I am not one to push the limits of the law. What DID surprise me was her refusal to serve me a beer. She went to great lengths to explain that she could be arrested for serving someone without proper ID. She went on to explain in a condescending manner why she was right to take this position. I was stunned. What my entire group first thought was a joke had become an incident. She would NOT serve me a beer, but would allow one of my adult guests to order one on my behalf. I was incredibly embarrassed and frustrated with the lack of judgment she used to interact with our group. What started as a fantastic afternoon with my children and friends had turned into a disappointing, frustrating and infuriating experience. We stayed at our table, but immediately her tip went from 20% to 15%. If it were not for my wife…she would have received ZERO from me. I am a food and wine person that spends a great deal of time at restaurants. Your establishment has been one of my favorites for many years. It is a shame that one incident can change the perception of a customer from a fan, to a detractor. As a salesperson I feel I owe it to the owners and management to bring this incident to light. I have always felt that good judgment is one of the most important skills a waitperson can have. While Nicole was very competent as a waitress, she was a failure as an ambassador of your brand. I have attached a copy of my license, my itemized bill and for good measure my AARP card to validate my tale. I hope you can use this example to better train your staff and avoid future incidents. Pizza Paradiso, Two Amy’s and Comet will be happy with my $163 tab once a month.